What is a SOUND POD? 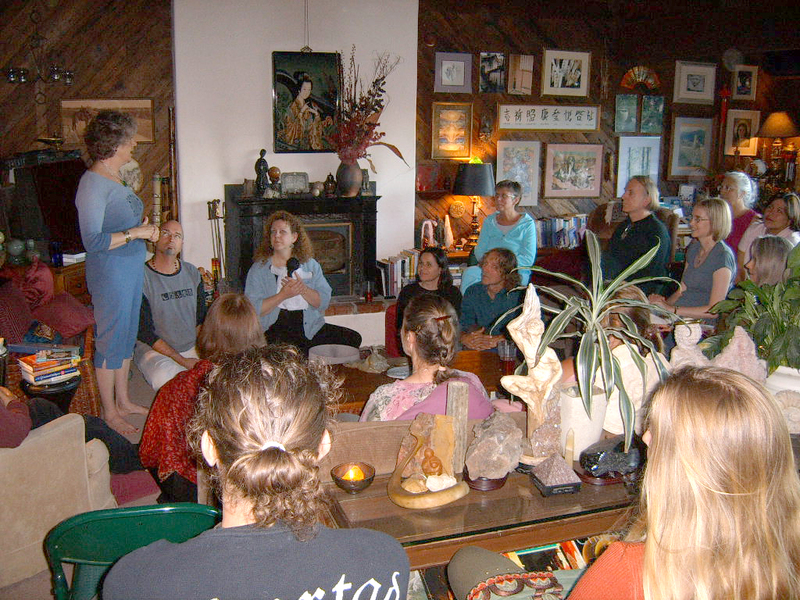 A gathering of like-minded people who meet regularly in an informal manner with the intention to explore their own vocal sounds, pure tones, chants, and the use of vowels. The use of conscious sounds relieves stress and clears blockages in the body, creating a sense of well-being and joyful expansion. SOUND POD offers the opportunity to discover the power of sounds. This gathering is playful, powerful, fun, and experimental. How to create a SOUND POD. Select a place: a home or a public meeting space. Select an evening each month that will be constant for at least 4 months. This allows you to set the dates so people can plan ahead. Create a simple flyer or invitation with all the information: the place, the dates, time, a small donation amount if any, phone number to confirm, etc. Perhaps you can just gather a few friends interested in playing with ‘sounds.’ You can put a simple ad in the local metaphysical paper. Just be sure you are willing to give it at least 4 to 6 months. This allows time for people to network. And believe me, they will tell their friends. I posted several small flyers announcing my plans for creating a SOUND POD. The first night 25 people arrived. We have now been meeting for five years. There are those who come each month, and always a few new ‘sounders.’ The number stays around 20 to 25 people each month. How to set up a SOUND POD evening. Make it casual so people are comfortable. Provide water. This is important because as people tone, they need to drink water; be sure to remind them throughout the evening. Have a bowl for donations clearly marked ($5 to $7.) Provide a paper for people to give their address, phone, and e-mail. I now have a SOUND POD group that I send an e-mail to each month announcing the upcoming SOUND POD events. I provide a printed copy of any new chants, so they may have this to take home. When someone wants to introduce a chant to the group, they bring a printed copy to share with others. We now have a nice selection of chants and vocal exercises that the group has created. How the SOUND POD unfolds. It is nice to start with a prayer or invocation and a simple grounding visualization. Have everyone share their name and their intention for the evening. For the first sound exercise, I invite the group to close their eyes and allow their body/mind to release any tension or holding, along with the sound. I call these free sounds, and this may go for 10 to 25 minutes. People release a lot during this time. If you have a crystal bowl, it is nice to play it. Allow people to stay in that special place of quiet for a few minutes after they finish. Next, I suggest a simple chant like OM, HU, the vowels, or words like “love” or “peace.” I invite the group to chant as freely as possible. This is where you can explore. We have chanted “I am love,” “You are love,” “We are love.” The room was electric. After this chanting, take a short break, and remind everyone to drink plenty of water. If you have any announcements make them after the break. Give people the opportunity to share what they are experiencing. Plan a couple more chants for the evening as a group. Your SOUND POD will be powerful, transforming, and lots of fun. I invite you to experiment with your group. I sometimes have guest hosts who bring a new style or gift to share using sounds. This is a rich and expansive event, and Spirit will assist you in its unfoldment. Let yourself play with tones and sound in all different ways. Be Free.